Ford will fill its stable with 11 Mustangs at next month's Specialty Equipment Market Association show. The show is scheduled Nov. 2-5 in Las Vegas. 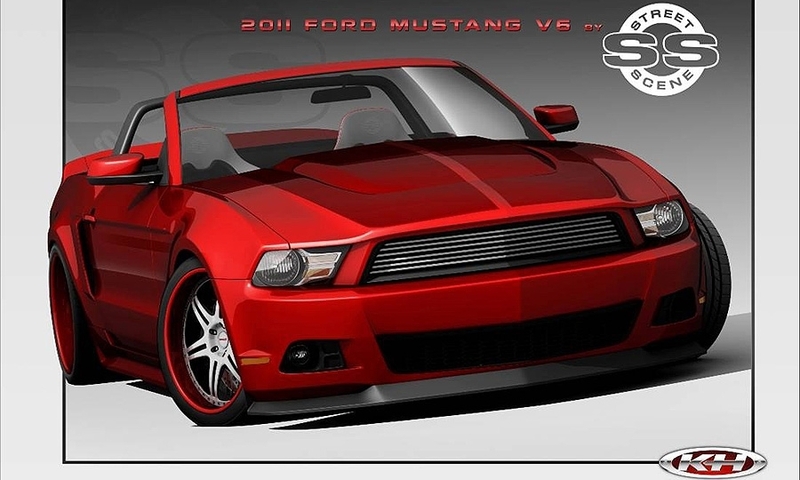 The Ford stand will include nine customized 2011 Mustangs along with the 2012 Mustang Boss 302 and the 2012 Ford Mustang Boss 302 Laguna Seca. 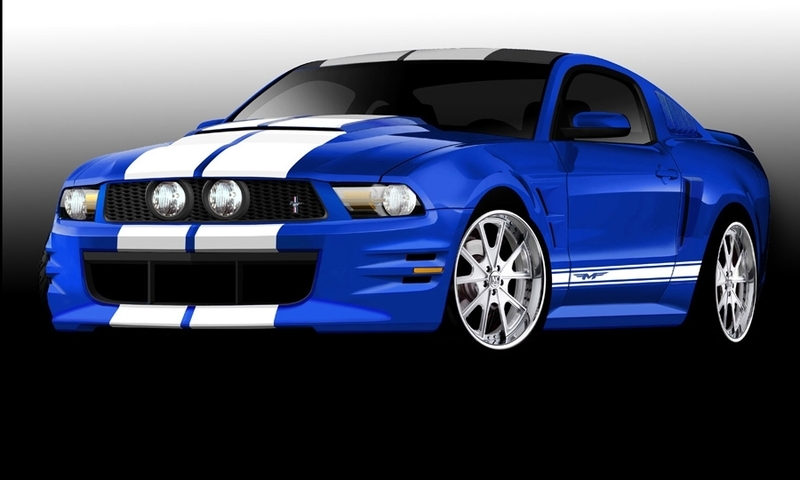 Both Boss 302 vehicles are both powered by a 440-hp, 5.0-liter V-8 rated at 380 pounds feet of torque. 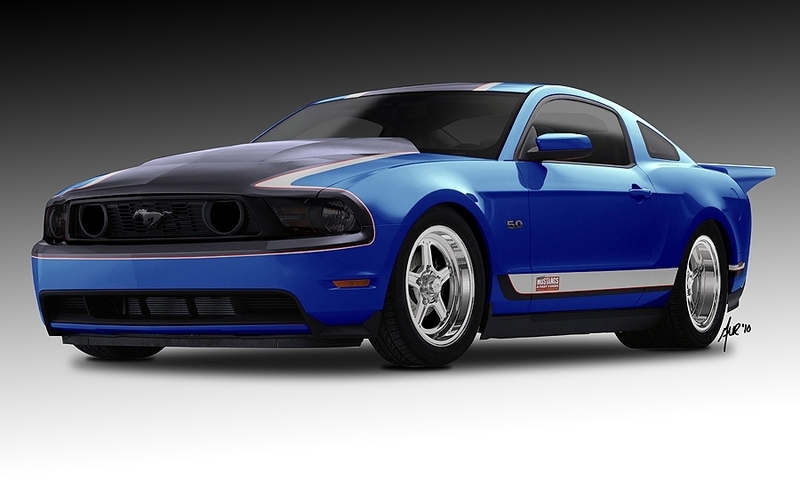 The Laguna Seca is a stripped-down, reinforced version of the Boss 302 with improved handling. The rear seats have been replaced by an X-bar support to stiffen the chassis. Ford also upgraded the springs and the rear stabilizer bar. 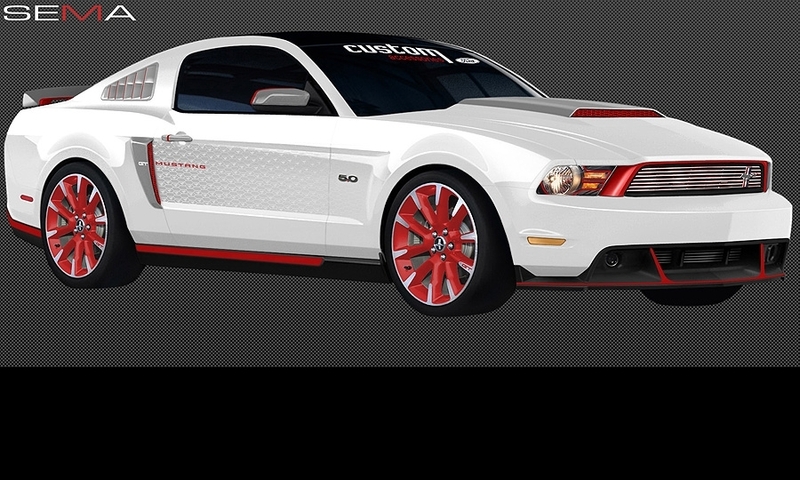 2011 Ford Mustang GT by Ford Vehicle Personalization: This Mustang GT was designed using accessories made by Ford. The exterior includes a pedestal spoiler, side scoops and a billet grille. The Mustang GT rides on 18-inch wheels. The white-and-black interior includes inserts that resemble carbon fiber and coral accents on the steering wheel, gauge cluster and shifter knob. Ford also included coral accent lights and white material to highlight the seats, door inserts and steering wheel. 2011 Ford Mustang by Team Baurtwell: Funkmaster Flex and Team Baurtwell designed a Mustang that includes smoked taillights, a 3dCarbon body kit and NC Forged three-piece billet wheels. The chassis includes a Steeda lowering kit, sway bars and springs. Team Baurtwell also installed Baer brakes. 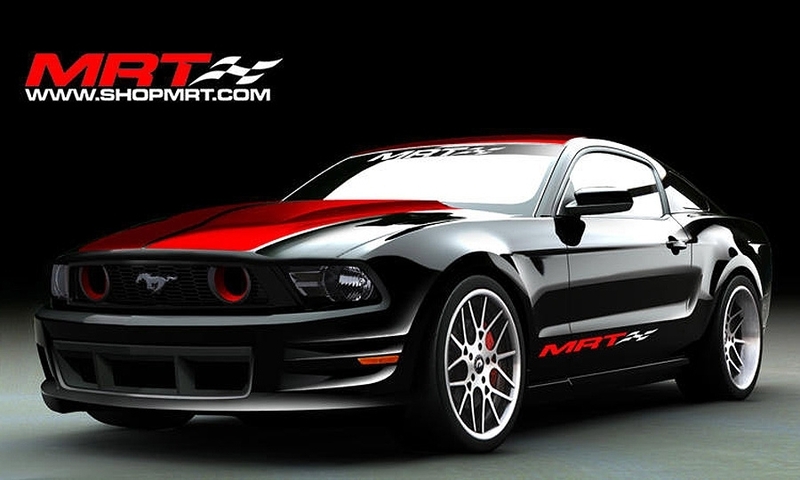 2011 Ford Mustang by MRT: The MRT-designed Mustang GT has carbon effects in the engine compartment and interior. It also has an upgraded performance-handling package, Baer brakes and an MRT stainless-steel exhaust. 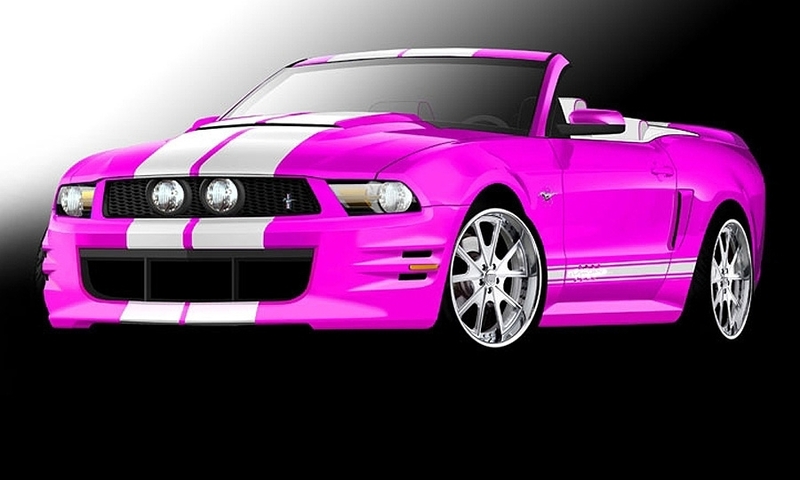 2011 Ford Mustang by Creations n' Chrome: Creations n' Chrome teamed up with the American Cancer Society to design a Mustang GT and raise awareness for breast cancer. The pink chrome GT includes a Vortech supercharger, HRE performance wheels, Wilwood brakes and 3dCarbon styling kit. 2011 Ford Mustang by Muscle Mustangs and Fast Fords: The Muscle Mustangs and Fast Fords-customized Mustang includes a Ford Racing Performance Parts supercharger kit and Kooks Custom headers exhaust system. It also has a custom paint job, Roush fascia, Cervini's Auto Designs hood and brakes, seats and suspension by American Muscle parts. 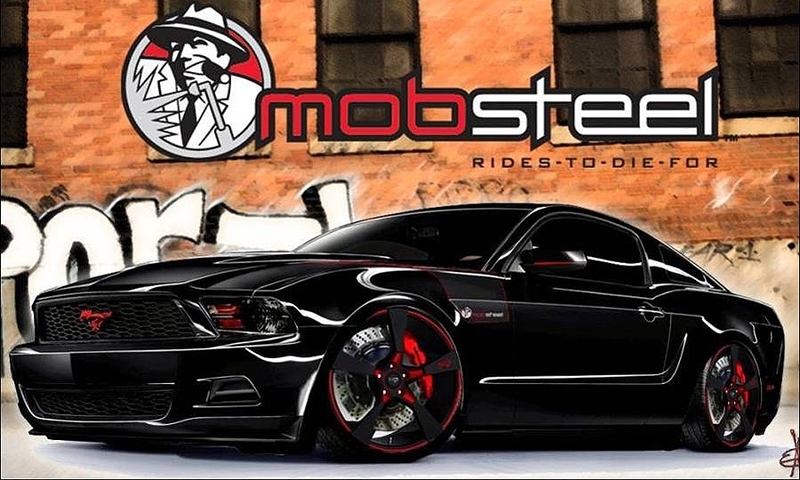 2011 Ford Mustang by Mobsteel: The V-6 Mustang by Mobsteel includes an STS Turbo patented remote-mount turbo system, Air Runner suspension and Magnaflow cat-back exhaust. It also has 15-inch Baer brakes, Savini forged wheels and Pirelli tires. 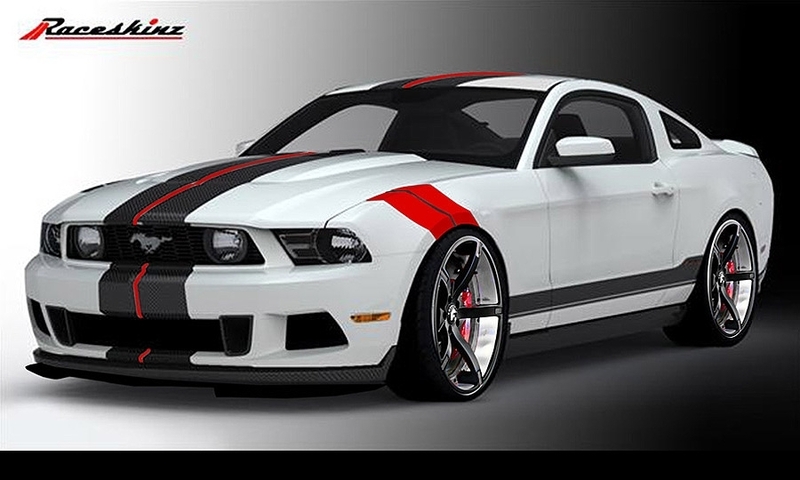 2011 Ford Mustang by Raceskinz: The interior of the Raceskinz-designed Mustang includes Raceskinz bucket seats and carbon-fiber accessories throughout. Performance upgrades include a ProCharger intercooled supercharger, Magnaflow cat-back exhaust and Baer brakes. 2011 Ford Mustang by Street Scene Equipment: The Mustang customized by Street Scene Equipment includes a Street Scene chin spoiler, grille and rear wing. The car rides on 20-inch Mint wheels. The interior includes Katzkin leather and a Polk audio system. 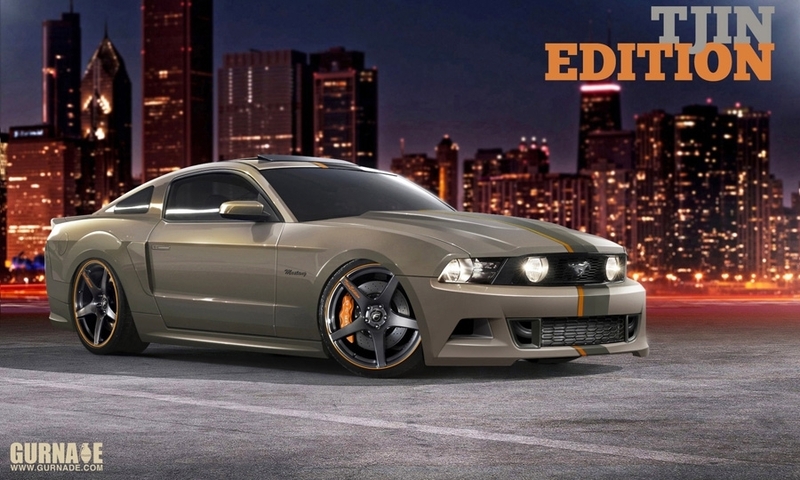 2011 Ford Mustang by Tjin Edition: The exterior of the Tjin Edition Mustang GT includes a custom DuPont paint job, a Webasto sunroof, a Unique Fabrication metal wing, Ignited LED headlights and StreetGlow lighting. It also has an Air Lift air suspension kit, an Eibach antiroll kit and trailer arms.